IS CHIROPRACTIC THE SOLUTION FOR YOUR HEADACHES? Headaches affect hundreds of Australians from all ages and all walks of life each and every day. Did you know that millions of dollars go just towards pain medication every year to help ease headaches? 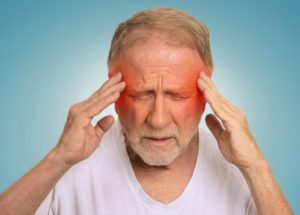 Studies have shown that approximately two-thirds of the worldwide population suffer from headaches and unfortunately for about one-fifth of the population, these headaches can be both extremely painful and recurrent. WHAT ARE THE MOST COMMON CAUSES OF HEADACHES? The most prevalent types of headaches include tension headaches, cervicogenic (neck) headaches, migraines and sinus headaches. Cervicogenic headaches, which are the ones most seen at our clinic, are related to joint issues in the neck and are often linked back to problems such as poor posture, trauma or stress. Thankfully many of these causes can be removed with a specific treatment program that reduces or removes the underlying cause. Tension headaches: Tension headaches seem to be the most prevalent of all the types. They are usually the result of spine issues, or emotional stress and respond well with chiropractic care. Bad posture and ergonomically poor workplace situations can also worsen the condition. Vertebrogenic (Neck) headaches: These are a very common form of headache which originate from the neck. Whiplash, poor posture or physical stresses like an ergonomically incorrect work environment can often set them off. This type of headache responds well to chiropractic care. Migraines: The most typical symptoms of migraines include throbbing pain, nausea or vomiting and even sensitivity to sound or light. While the exact cause of migraines is still unknown, evidence does suggest that it may be genetic. There are a broad range of known triggers for migraines. They include irregular sleeping or eating patterns, flashing lights, hormone fluctuations, loud noises, stress and tiredness. While spinal problems are not believed to be a major cause of the migraine attacks there is some level of scientific evidence that improved spinal function can can reduce both the frequency and duration of migraines. This is why some patients suffering from migraines choose to have regular chiropractic care as part of their health care approach to migraine control and prevention. Further scientific research is needed to find the exact cause and effective treatment of migraines. Sinus headaches: These can usually be linked to an infection, inflammation or blockage of the sinuses. It is always better to treat the cause rather than to ease the symptoms. If you do suffer from headaches, we recommend you arrange an appointment as soon as possible. Our team of chiropractors will get to the bottom of the issue for you. You do not have to resort to painkillers to treat the pain. According to a recent study, approximately 10% of all patients who visit their local chiropractor do so to treat a headache of some kind. Chiropractors have been providing treatment designed to help reduce headaches and migraines for many years. There is now many studies that demonstrate the links between spinal function and headaches. One scientific study found that 22% of those studied who received chiropractic treatment manipulation reported more than a 90% reduction of headaches another 49% reported that the headache intensity was significantly reduced . Another scientific study found chiropractic treatment reduces tension and migraine headaches. This study found that of the 729 subjects involved 613 who received chiropractic care and who had outcomes that they rated from good to excellent. While these studies did show great benefits from chiropractic care, more extensive scientific research is needed to establish exactly how effective all the different forms of headache treatment actually are. Once the cause is known, we will focus on specific chiropractic adjustments to restore motion in the spine and specific exercises to strengthen the muscles if we believe that this will be an effective treatment for you. Clinically we find that the patients with cervicogenic headaches who get relief from improved spinal function can sometimes enjoy almost instant relief, while others may experience a more gradual improvement in their symptoms over a few days or weeks. Whether chiropractic care can help your individual headaches depends on the specific type and cause of your symptoms. This is why an accurate examination and diagnosis is so important before any headache treatment is started. Give us a call today!